Is this the year you stop sleeping on the ground and give glamping a try? Glamping is quickly becoming one of the most popular ways to enjoy the outdoors. Think of it as luxury camping — you can spend the day hiking, kayaking, or watching wildlife, and come back to a real bed, along with other luxuries, each night. With glamping vacations, you don’t need to invest in expensive camping gear, sleep on the ground, or wonder if your tent will keep you warm and dry. This is the magic of glamping. If you’re still unsure about glamping, and whether or not it’s for you, this guide may convince you. Read on to discover everything you need to know about luxury camping, including glamping tips and important glamping essentials. Glamping is certainly a modern buzzword, coined in the year 2005, and added to the Oxford English Dictionary in 2016, but what is glamping? 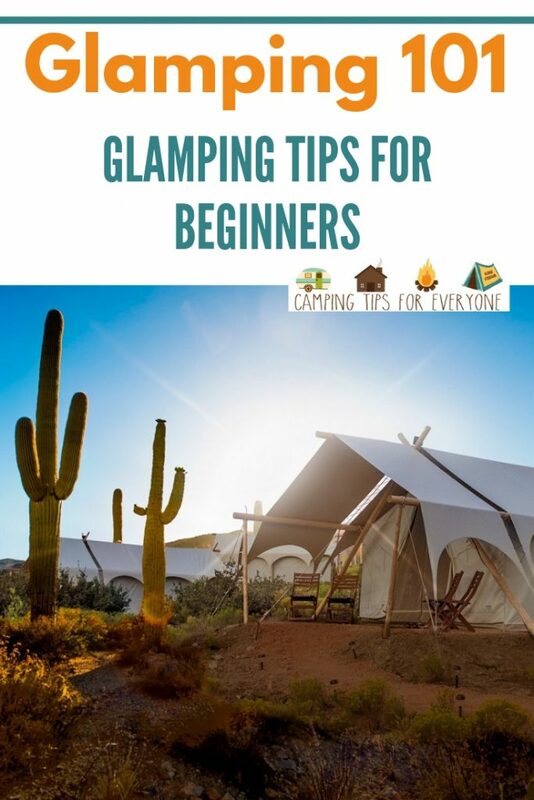 The term “glamping” refers to “glamourous camping,” and is generally used to describe camping accommodations that offer an upgrade from traditional tent camping. Think permanent tent structures that you don’t have to set up, beds, linens, even electricity in some cases. With new glamping destinations popping up all over the United States, outdoor adventure travelers have a new way to live luxuriously in the outdoors. Many glamping destinations are associated with a resort, so you can expect varying levels of service, from a “campfire concierge” to get your coals stoked each night, to local activities and tours included in your glamping vacation package. If you’re planning a vacation based on an outdoor experience or adventure, there’s a good chance that you’ll find a glamping opportunity nearby. Luxury camping is available in America’s National Parks, national forests, and on private land. International adventure travelers have been enjoying glamping for years, with mountain huts offering overnight accommodations in places such as the Alps and New Zealand, and luxury safari tents in Africa. If you want to browse various glamping destinations, these sites are a great place to start. Glamping Hub – Glamping Hub is a comprehensive listing site with properties on six continents in more than 80 countries. 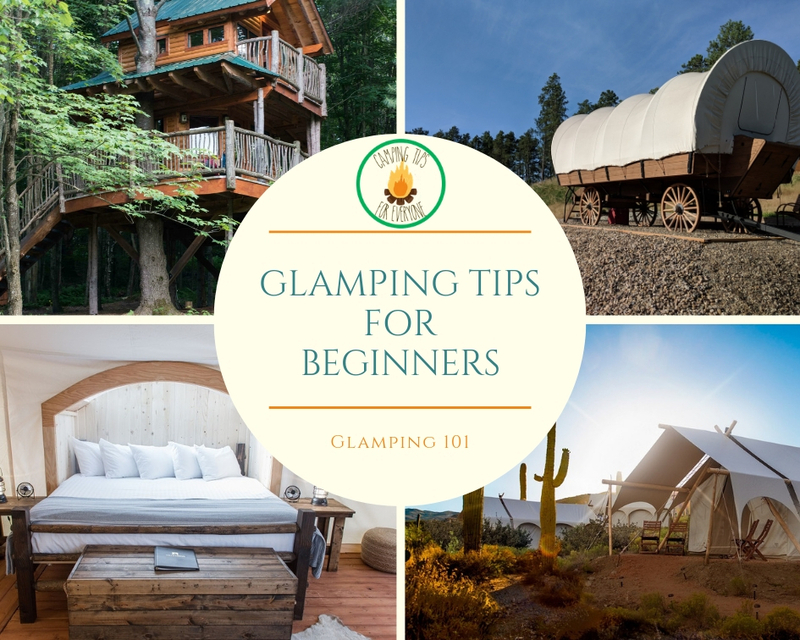 Glampers can search based on location or type of accommodation, including campervans, yurts, tipis, and tents. Glamping.com -Glamping.com is a huge listing site for one-of-a-kind glamping properties across the globe. On glamping.com, you can refine your search based on country, property type, and experience, whether you’re looking for a desert lodge or a seaside cabin. 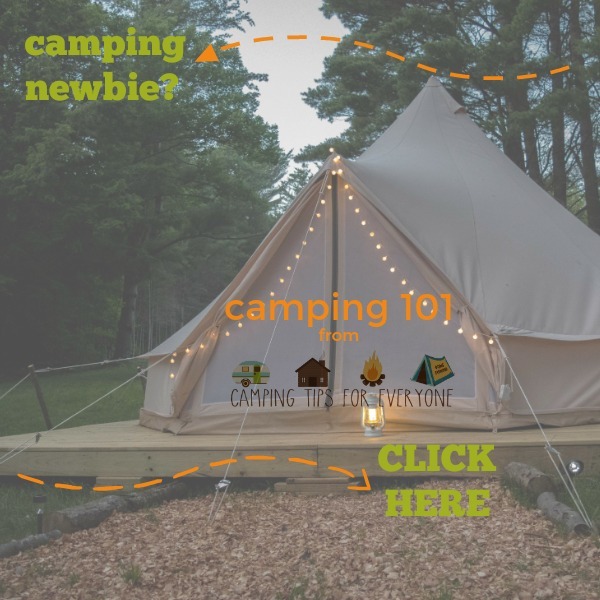 Hipcamp – Hipcamp is a unique platform dedicated to matching landowner hosts with campers across the United States. Not all listings are glamping properties — some are campsites on undeveloped land, but you can search based on the location and the type of property you’re looking for. 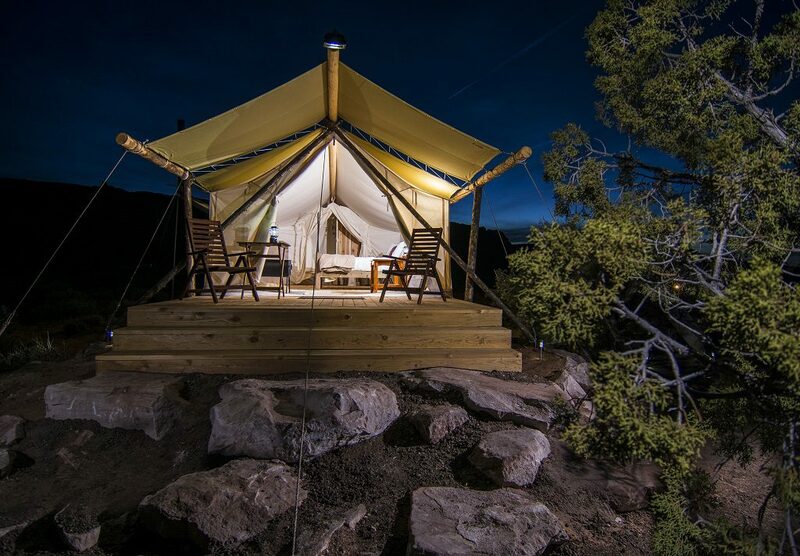 Under Canvas – Under Canvas offers safari-inspired glamping in seven locations, all near National Parks, such as Yellowstone, Grand Canyon, Mount Rushmore, and Great Smoky Mountain National Park. All glamping rentals are not created equal, and it’s important to read each listing carefully so you know what you’re getting for your money. Find out exactly what is included and what isn’t. Many properties will include a wood stove (for heat), linens, cookware, and cleaning supplies, while other properties are more bare bones (and therefore may not truly be glamping). You should also check for extra costs that may be tacked on, such as housekeeping, pet, or activity fees. Safari Tents – some of the most luxurious glamping options are styled after safari-style tents. Many have a wood platform, with canvas walls, in a semi-permanent structure. Luxury safari tents at The Resort at Paws Up have a full bathroom and multiple bedrooms, plus a full meal plan of gourmet food. Other safari tents are more basic with community washrooms and cooking facilities. Bell Tents – The most iconic glamping structure is the canvas bell tent. It’s big enough for a bed, a few chairs, and sometimes a wood stove, but you will do your own cooking and washing outside or in a main bathhouse. Yurts – Yurts originated in Mongolia. They are round, wooden-framed structures with a domed roof and fabric walls. Luxurious yurts can have electricity, kitchens, bathrooms, and sleeping lofts, while more rustic yurts provide a bed and other essentials for camp life. Many state parks and national parks are using yurts to expand their accommodation options for campers. Tipis – Tipis are closer to traditional tents than other glamping structures. They are usually small, which makes them easy to heat and cool. They will often include a bed, or mattress, and a few other pieces of furniture. 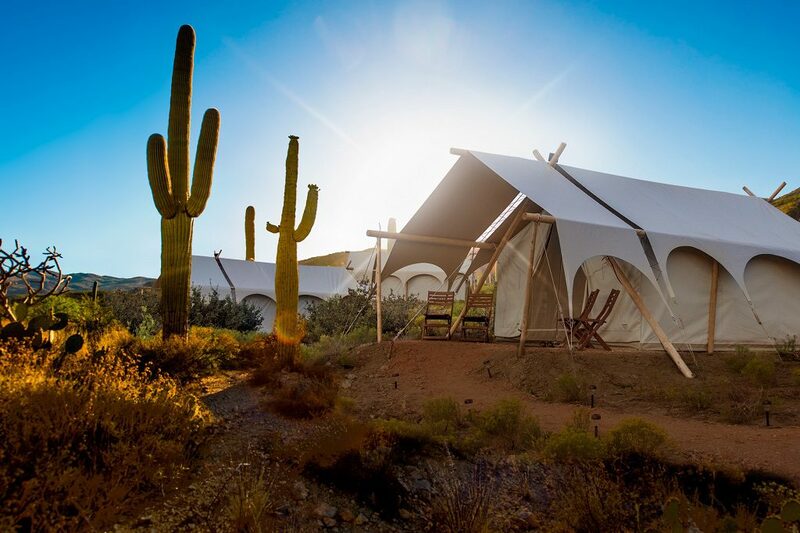 Many campgrounds in the Southwest will offer a tipi as a novelty glamping option. Treehouses – The sky’s the limit when it comes to glamping treehouses. Some are so elaborate that you scarcely feel like you’re camping at all. They may have several rooms, plumbing, electricity, and full kitchens. Or, you may feel like you’ve stepped back to childhood, when you pulled your sleeping bag up to your neighborhood treehouse for the night. 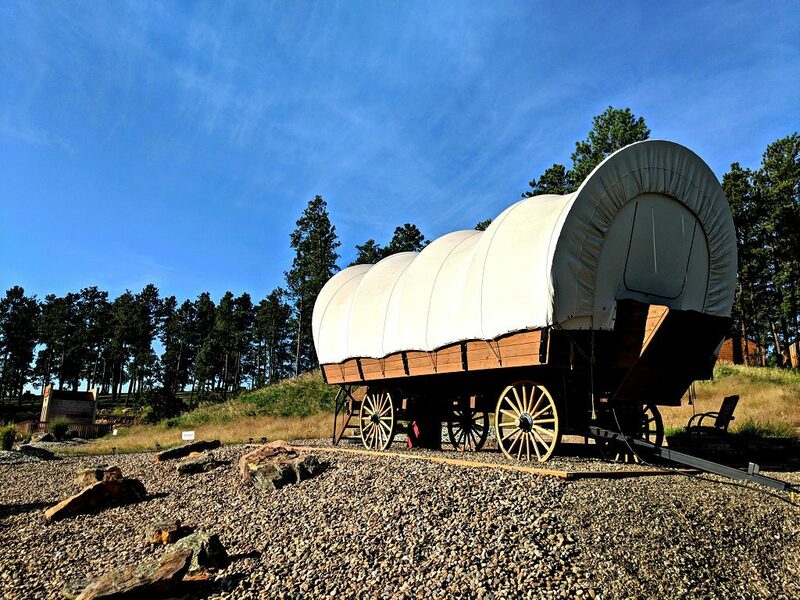 Covered Wagons – This novelty glamping option is rolling into the western and mountain states as a chance for travelers to revisit our pioneer past. The most glamorous of these wagons are true Conestoga with a king size bed plus multiple bunks, electricity, heat and air conditioning, and a private fire pit to prepare your meals. Bathhouses are a short stroll away. Backcountry Glamping – I have had some interesting “glamping” experiences in the backcountry. Similar to the other glamping styles mentioned above, but miles away from civilization. In the Canadian Rockies, we rode horses to a backcountry camp, where we had platform tents, a kitchen tent, and outhouses. Not luxury for some, but if you’ve been backpacking, it’s pretty luxurious! I also experienced glamping on a remote island in the Sea of Cortez off Baja, Mexico. We had cooks and safari tents (with no floor!) just steps from crashing ocean waves. Luxury camping is a great way to step up a backcountry trip. Mountain Huts – Another backcountry glamping option that is very popular, especially with aging backpackers who don’t want to carry heavy packs, are the mountain huts. The Swiss Alps have an extensive mountain hut system, with dormitory-style beds and hot cooked meals. These are becoming more common in the States. Yosemite’s High Sierra Camps offer backcountry glamping in camps spaced 6 to 10 miles along a loop trail. Colorado also has an extensive system of backcountry huts. One benefit of glamping is that you don’t have to purchase or pack as much gear. You can leave the tent behind, as well as the sleeping bags and pads, in some cases. While luxury camping isn’t as gear intensive as regular camping, there are still some glamping essentials you won’t want to be without. Headlamps – one for each member of your family, with extra batteries. Especially important if your glamping tent does not have a bathroom! Linens – this will vary greatly by destination, but you may need to bring bed linens, towels, and washcloths. Check with the glamping facility if you aren’t sure. Cooking gear – Again, what you need will depend on your accommodations. Is there a kitchen, or are meals prepared for you? If not you will need gear for cooking – a camp stove, pots and pans, a cutting board and knife, plates, bowls, mugs, and cutlery. A cooler with ice – Unless your rental has a refrigerator. A lantern. We love the Lander Cairn for its bright light and mobile charger! Clothes suitable for outdoor adventures – Pack raincoats, boots, and warm socks, just in case. Toiletries and a first aid kit. Cleaning supplies – dish soap, washcloths, towels, trash bags. Food and drink – Plan your meals ahead of time, and don’t forget snacks, condiments, spices, and cooking oil. The best thing about luxury camping is that you can define your level of luxury! One man’s glamping is another man’s “roughing it.” Luckily, there are glamping options for everyone. Is Glamping your type of camping? Leigh is a freelance writer and travel blogger with a lifelong passion for outdoor adventure travel and urban exploration. In 2017, Leigh and her Airedale Terrier Bailey, left Chicago on a 4-month road trip in search of a new hometown, which is now Tucson, Arizona. Leigh blogs at Campfires & Concierges, where she shares travel tips, destination inspiration, must-see excursions, and dog-friendly destinations. Follow Campfires & Concierges on Facebook, Twitter and Instagram.